GIZA, Nov. 28, 2015 - Egyptian security personnel gather on the site of an attack in Giza, Egypt, on Nov. 28, 2015. 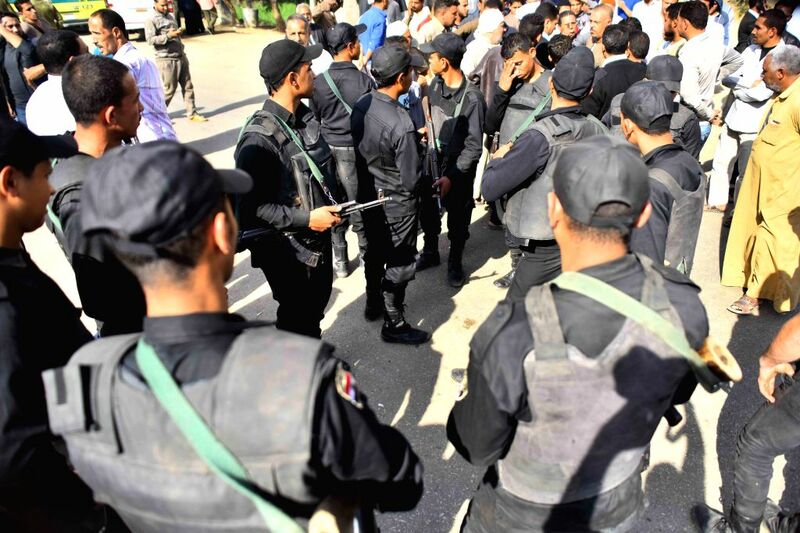 Unknown militants shot four policemen dead Saturday on the road to the pyramids in Egypt's Giza province, state media reported. 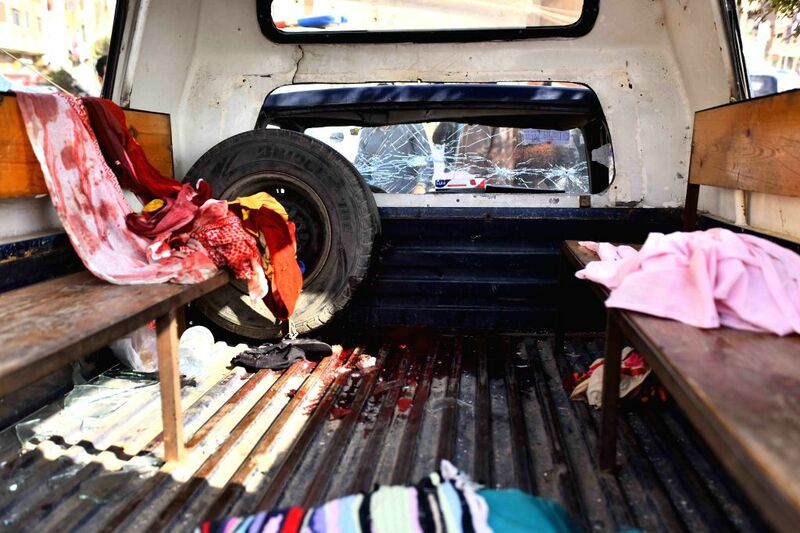 Photo taken on Nov. 28, 2015 shows blooded clothes on a police car on the site of an attack in Giza, Egypt.